Gaming commentary and news with a healthy dose of opinion. 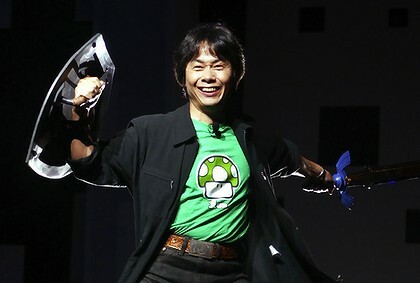 Miyamoto discusses next 3DS Zelda. Those of you hoping for a 3DS remake of The Legend of Zelda: Majora’s Mask may be in luck, as Shigeru Miyamoto has named it as one of the titles he is considering for a release on Nintendo’s stereoscopic handheld. This, of course, begs the question of what form such a re-release might take; for Majora’s Mask we’ll obviously see a remaster in the vein of last year’s The Legend of Zelda: Ocarina of Time, but what of A Link to the Past? Will we see a stereoscopic port of the Super Nintendo classic or a full-fledged 3D remake? As to which of the two Zelda classics I’d like to see on 3DS? Well, both eventually. But if A Link to the Past turned out to be nothing more than a stereoscopic version of the original, I’d much rather have a remastered Majora’s Mask on my shelf. And this kind of brings me around to another point; why aren’t there any SNES classics on the 3DS store? I get that Nintendo want previous generations of handheld games on handhelds and home console games on home consoles. I get that. I don’t at all understand it, though. After playing through Metroid Fusion on my 3DS (yes, I’m an ‘ambassador’), it made me desperate for the opportunity to play Super Metroid on my handheld. I’m a big fan of playing older games on handhelds. I can’t bear to play them blown up to enormous proportions on modern televisions, but on handhelds, they can be transformed, and a decent part of my handheld gaming time is spent on playing older games that I missed or wish to revisit. Handhelds are the perfect platform for that. Or is it just me? Well, that’s enough of an off-topic rant. Which Zelda game do you want to see make a re-appearance on 3DS? And a wider question: Which older games would you like to see come to handheld formats in general? E3 is almost upon us, so today, in lieu of the usual ‘Sunday Soapbox’ piece, I’ve decided to list some of the things I’ll be looking forward to or blindly hoping for. Because everybody loves a good list, don’t they? The 2012 Electronic Entertainment Expo starts on Tuesday June 5th at the Los Angeles Convention Centre, though Microsoft will be jumping ahead of the competition by having their press conference the day before. Yup, that means tomorrow! So what am I looking forward to? I’ll try and group my thoughts by publisher or developer, so read on to find out, and then leave a comment to let me know what you’re looking forward to. Seeing as they’re first off the blocks, I’ll get straight onto the Xbox 360 manufacturer, and the obvious starting point is Halo 4. I’ve mentioned before that I’m a massive, massive Halo fanboy, so I’m predictably overexcited about the prospect of seeing some single-player footage, learning more about the setting and figuring out just what in the name of Sergeant Johnson is going on. I’ve read a few previews that have all described the beginning of the game (which unfortunately doesn’t answer any of the above questions), and I have a feeling that this is what we’ll be seeing as an on-stage demo. Not that this would disappoint me of course – I really want to see what 343i have achieved with their first entry into the franchise. It’ll also be interesting to see what the devs have to say about multiplayer; fans have been worrying that Halo 4 seems to be going the Call of Duty route, with perks and other xp-based unlockables. Halo has always been an open playing field – if you win, it’s because you’re better than the opposition, not because you have better equipment. 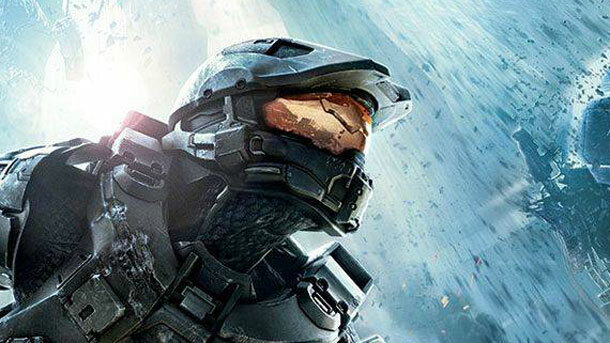 Hopefully 343 will be on-hand to allay fans’ fears. The new Gears of War game, titled Judgment, will also be a big draw for Microsoft’s conference, and again, I’m looking forward to find out what’s going on. It appears to be a prequel, given the existence of Locust forces and the fact that Cole looks very young, and it’ll also be interesting to see how deep Bulletstorm creator People Can Fly’s involvement goes. Essentially nothing is known about this title yet, so hopefully a full reveal will help to ground it somewhere in the existing Gears canon. I’m also wondering whether we’ll see more of Crytek’s Kinect action game Ryse this year. It’s been awfully quiet of late regarding the former Codename: Kingdoms, so perhaps E3 is the perfect time to show it off. 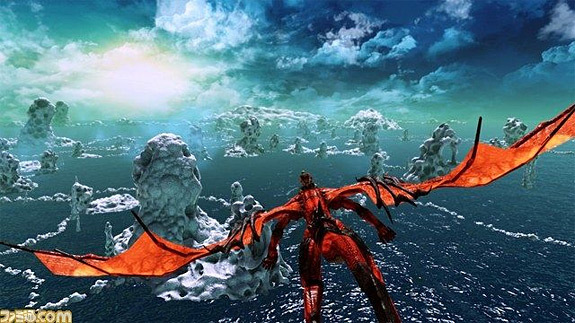 Sticking with the Kinect theme, I’m hoping to get a good long look at Yukio Futatsugi’s Crimson Dragon. As a big, big fan of Sega’s Panzer Dragoon (all four games still proudly grace my shelf), the spiritual successor to that series is one of my most highly anticipated games this year. An on-stage demo would be great, as would a release date. What I really want to see from Sony at this year’s E3 is massive support for their new handheld. I absolutely love my Vita (I’m currently making my way through Resistance: Burning Skies), but most wouldn’t argue the point that it’s floundering in the marketplace at the moment. Some big new franchise announcements specifically for the Vita would certainly help alleviate the perception that it has no games. Seeing Ken Levine walk on-stage to demo BioShock Vita would certainly be a good start, and perhaps we’ll hear more about Killzone and Call of Duty. Aside from shooters, I’m hoping we’ll hear about some good RPGs coming to the handheld in the next year. Besides the Vita, some gameplay footage of The Last of Us would be great to see. The trailers so far have got mouths watering, but we know nothing of how the game will play. Will it be a post-apocalyptic Uncharted, or will Naughty Dog pull out all the stops and head in a completely new direction? I can’t wait to find out. 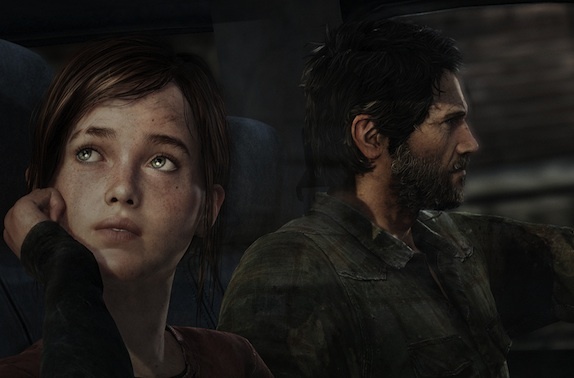 Joel and Ellie, wondering what they’ll be doing for the next ten hours. The Tokyo-based company recently announced their list of games they will be showcasing at E3, and all I can say is I hope they’re planning to hit us with a load of surprises. On the list were Hitman: Absolution, Tomb Raider, Theatrhythm Final Fantasy, Heroes of Ruin and Kingdom Hearts 3D for the 3DS. The rest are mostly mobile phone games. Seriously Square-Enix? It’s Final Fantasy‘s 25th anniversary! Come on! They have to have something up their sleeves, don’t they? Final Fantasy Versus XIII is apparently not being shown at E3, although recent rumours have claimed it’ll be renamed Final Fantasy XV and will in fact be unveiled at the trade show… I’m taking that one with a barge-full of salt, but I am blindly hoping for some kind of big FF news at the Expo, considering the 25-year milestone. At the very least I want to see the PS3/PSV re-release of Final Fantasy X that we’ve heard absolutely nothing about in God knows how long. If Square-Enix’s conference holds no surprises, I’ll be very disappointed. The house of Mario are expected to unveil their final Wii U hardware and, more than anything, I’m hoping to see a gorgeous HD Metroid adventure (hopefully from Retro Studios please!). Despite last year’s HD Zelda demonstration, I don’t expect to be seeing anything from Link and friends this year, though I imagine we’ll get a proper glimpse of a new Mario game. I think Nintendo will keep Wii U game reveals to a minimum and focus on the console and tablet and what they can do together, allowing third parties to take up the slack, as they did with their E3 2011 showreel. Hopefully we’ll see some great new 3DS titles announced (perhaps a new handheld Zelda?) as well as get a good look at New Super Mario Bros 2, and I’d love to see more of Luigi’s Mansion 2. Having recently watched a Namco-Bandai presentation (at last week’s London Expo), I’m not foaming at the mouth (quite as much) to see Ni No Kuni and Tales of Graces f, though more on both would certainly be welcome. 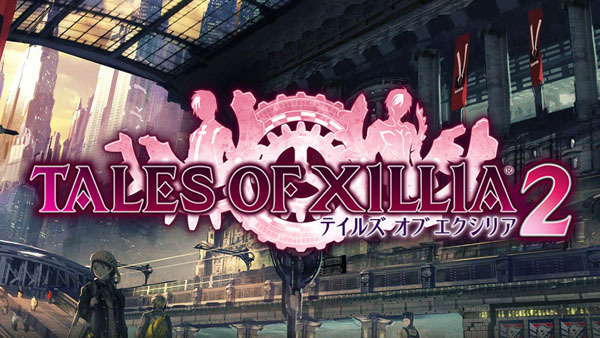 I’d love to get confirmation of a European release date for Tales of Xillia though, and I’d imagine we’ll be seeing more of the recently-announced Xillia 2. Tying into my earlier words about Vita games, I’m also hoping we’ll get a Western release announcement for the handheld’s version of Tales of Innocence R, too. Electronic Arts will no doubt have a strong presence at the show, and I’m looking forward to a full-on Dead Space 3 reveal, though I am worried about how far co-op will permeate the core experience of the game; let’s hope it’s entirely optional, though I’d prefer it if co-op was a separate side-story entirely. Crysis 3 will most likely also be a focus for EA, and I’ll be hoping it’s more like the first than the second, with large, open environments with flowing objectives and tactical options that allow you to feel like the Predator. I’m hoping to get a good look at both Zone of the Enders HD Collection and Metal Gear Rising: Revengeance from Konami, and it seems they’ll also be tearing the veil from two new Castlevania games – a direct sequel to 2010’s Lords of Shadow and a 3DS spin-off. Ubisoft are expected to show off tropical shooter Far Cry 3 and colonial stab-’em-up Assassin’s Creed 3, and I’ll be looking to THQ to show us how Metro: Last Light is coming along. Last but by absolutely no means least, I’m hoping for a solid release date for Jet Set Radio HD. And while you’re at it Sega, how about some Shenmue news?